Smoke detectors are the front line of fire protection for most premises, but sometimes they fail. Renovations and building maintenance, not to mention extended electrical outages, can put fire panels out of commission. Yet insurers require constant vigilance against fire, which can spread rapidly and cost building and business owners millions. To protect against the risk of fire, Imperial Security offers a fire watch service that gives peace of mind to clients when other systems fail. Building on protocols developed since Imperial Security’s launch in 1993, security guards assigned to fire watch are available 24 hours and conduct regular patrols of premises to ensure insurance requirements are met. Detailed reports are filed via the secure app loaded onto each guard’s mobile device, ensuring efficient reports and detailed records of patrols to verify coverage. 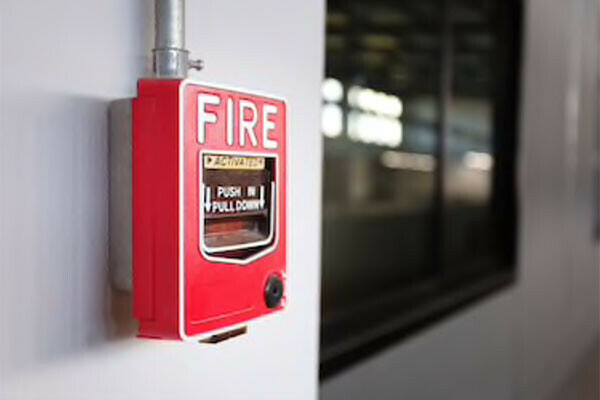 Should fire risks or alarms be required, guards are trained in the required protocols to safely alert emergency services and begin an orderly evacuation that ensures the safety and security of a premises’ occupants. Complementing the work of foot patrols, mobile security guards can attend to assist with relief efforts should fire erupt and reinforcements be required. Since many properties are complex, with unique hazards and areas requiring special attention, Imperial Security works with clients to develop a fire hazard assessment and patrol plan. This ensures guards devote their attention to the most critical portions of a property or campus of properties. It also familiarizes them with the neighbourhood, as well as ingress and egress routes for the safe evacuation of occupants and access by emergency services. Imperial Security’s fire patrols complement its broad suite of security services, by protecting not only against intentional crime but unintentional crises that can compromise or destroy property. Prompt, responsive service limits losses whether to felons or fire, safeguarding the value of premises and safety of its occupants.